Historic St. Andrew’s received a wakeup call from above when part of the ceiling fell down, signalling the urgent need for repair. But the ceiling is just the first stage. Next follows roof, windows, exterior stone and kitchen. To cover the cost of this work, the congregation continues to receive donations from members and to raise funds through special events such as the Dinner Auction. 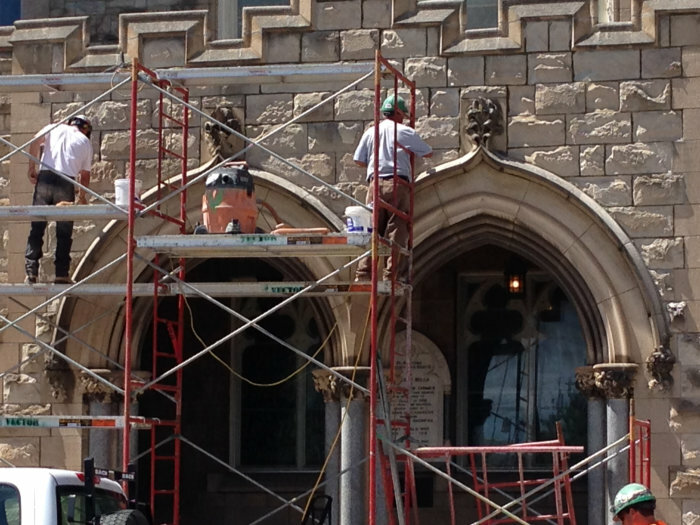 In addition to the interior work, the beautiful limestone exterior requires maintenance to preserve this historic church and all it embraces. Just one such repair was undertaken in July, 2016. To protect against possible water damage, the workers erected scaffolding and repointed the mortar that had deteriorated over many years. 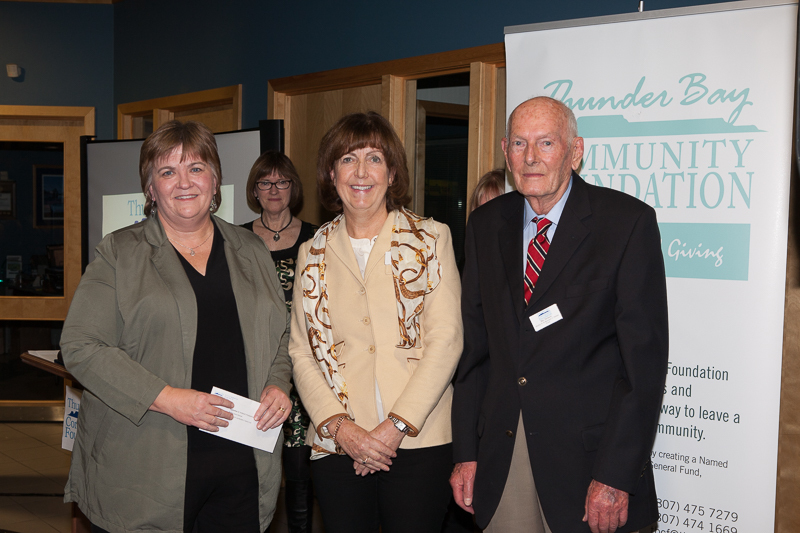 St. Andrew’s is very thankful for the ongoing support of other individuals, churches and community groups such as the Thunder Bay Community Foundation. To be exact, three ceiling panels in the sanctuary collapsed onto the balcony and choir loft, one on July 5 and the others later that month. Fortunately no one was present at the time and no injuries resulted. Form Architecture Engineering stepped up, offering to study the collapse and propose options for repair. Following their analysis, cleanup and ceiling repairs began. We knew the repair would be expensive but you can imagine our dismay upon discovering that the cost amounted to $70,000 — just for renting and installing the scaffolding required to reach the ceiling! After that came replacement of panels and upgrade to electrical work for a total of $200,000. The next blow came with the insurance company disallowing the damage claim. Again help arrived, this time in the shape of legal assistance to intervene with the company and negotiate a more acceptable resolution. On October 26, 2014, ceiling repairs were completed and the congregation joyfully returned to the sanctuary . We are deeply indebted to the many donors, private individuals, companies, media and other church communities who generously supported St. Andrew’s with cash donations, services and prayers, helped to spread the news and offered use of their facilities for scheduled events. Click here to see a CBC news story on our repair challenges. The St. Andrew’s community continues with the work that is vital to ensure the long-term survival of this historic building, most significantly, the roof and other exterior repairs. 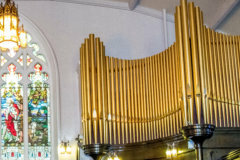 To help preserve this magnificent building, you can contribute to the St. Andrew’s Building Restoration Fund by cheque or online through CanadaHelps. And because we all like to have some fun, be sure to look for fundraising events such as the dinner auction and special concerts. This entry was posted in St. Andrew's News on August 1, 2015 by St. Andrew's Thunder Bay.